Being members of Barking and Dagenham Canoe club with its long association with the Devizes to Westminster race it felt like we was always destined to attempt DW. 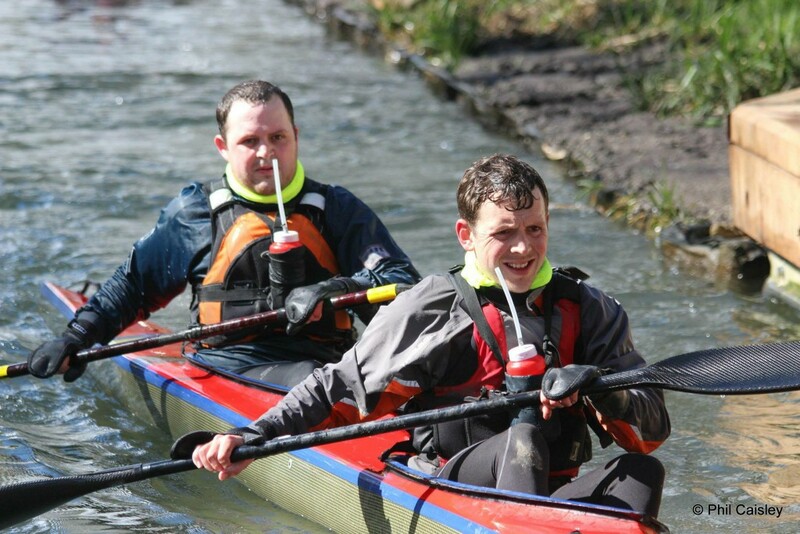 Our journey started back in 2012 when my K2 partner, Alfie and I, were inspired by fellow club members successes and volunteering at the finish line. We saw first hand what it took to finish the race and we wanted to know if we also had what it took. So we decided to give it a go, however, we so soon realised DW isn’t something you can just give a go. We came up against our first hurdle when during one of our training sessions Alfie contracted Weils disease. This put pay to our 2013 attempt, but we both agreed 2014 would be our year. Fast forward to January 2014 and doubts were creeping in, training hadn’t really gone to plan. We didn’t train hard enough during the summer and we relaxed too much over the Christmas period. We were still struggling to keep the boat we planned to use the right way up, the weather was poor and confidence was low. Lucky for us we had perhaps the most experienced support crew you could ask for. Not only were they our support crew for the race but for the whole journey. They gave us all the advice we could ask for and the kick up the backside we needed if we really wanted to reach those steps at Westminster. So we took their advice and agreed that from then on we would always train in a boat together (which we wasn’t doing due to the constant capsizing), we would change to a slower but more stable boat and where possible up our training schedule. And this is exactly what we did. Weekends were consumed by training trips down various rivers fitting in as many miles and portages as possible. Portaging was going to be key as our pace in the boat wasn’t the quickest. In training we learned that successful portaging hung on good communication. We would always try and call the portage early. On the approach we would call if we were going long or short and if we would carry the boat at the cockpits or on our shoulders. I would then call 3 2 1 as a signal for Alfie to put the brakes on at the back. We found counting down helped to keep us doing everything in sync at the get out and put in. Especially as the man at the front can’t see what the man at the back is doing. As well as water based training we did a lot of land based training as well. This consisted of circuit training every week to build on our fitness, working a lot on our core strength. We also ran to help build stamina, we knew with 77 portages to contend with throughout the race, DW would involve a lot of running too. When possible we always tried to train together as a team. The Waterside Series soon arrived, but due to the severe flooding caused by the storms Waterside A was cancelled and the course for Waterside B was amended, the rest went ahead as planned. These races are a must for any prospective DW competitor. We learned a lot from these races, it gave us the chance to work with our support crew in race conditions. It was the perfect opportunity to experiment with what food and drink suited us best and we got used to being fed on the move without biting off any of our support crews fingers. The races meant we got to know that part of the course quite well too and more than anything gave us the confidence to make it to the DW start line. After completing Waterside D, we knew we were as prepared as we were ever going to be for the 125 miles in 2 weeks time.